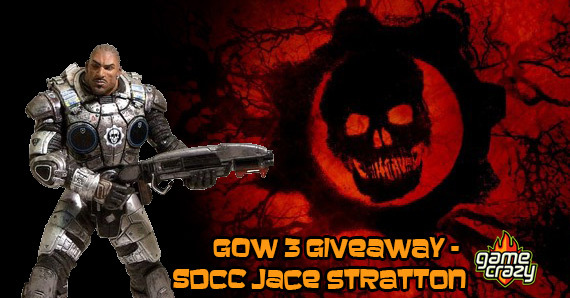 Here we go again with another Game Crazy Giveaway! Last week we were honored to team up once again with our friends at Kotobukiya to bring you the Dead Space 3 ARTFX Statue Giveaway! Now that the winner has been notified, we’re turning towards one of the most successful gaming franchises of the last decade. 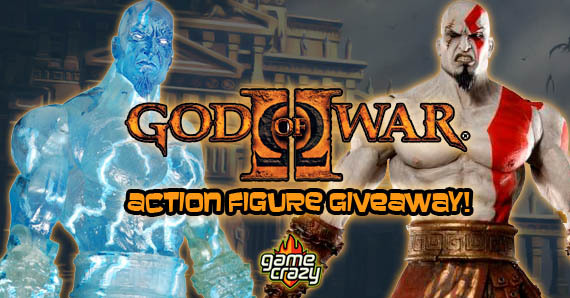 We’re giving away two 7″ Kratos action figures from God of War 2, including a special clear blue “Poseidon’s Rage” version! Read on to learn how you can win! NECA’s “Player Select” line is dedicated to creating awesome action figures based on your favorite video game characters! From God of War 2, this Kratos figure features an incredibly detailed sculpt that is faithful to his appearance in the game. 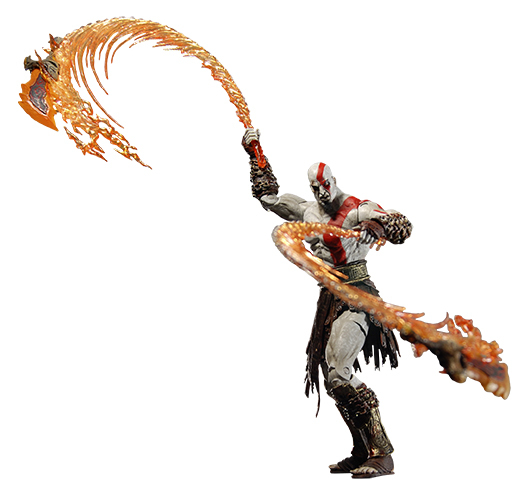 The 7″ scale figure is fully articulated for great poses and comes with Flaming Blades of Athena accessories. A great addition to any collection! Ages 17+. Call forth the power of lightning to smite your enemies! Poseidon’s Rage was granted to Kratos in the Aegean Sea from the god Poseidon himself, in order to help him fight the mythic Hydra! 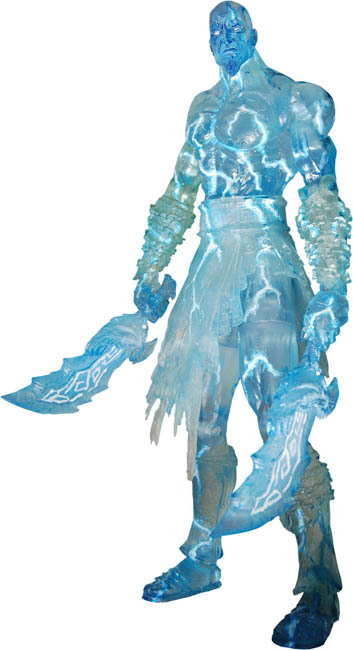 This 7″ scale figure is fully articulated for great poses and comes with Flaming Blades of Athena accessories and is molded in translucent blue plastic! This entry was posted in Contests & Giveaways and tagged giveaway, God of War, God of War 2, god of war giveaway by gcadmin. Bookmark the permalink.